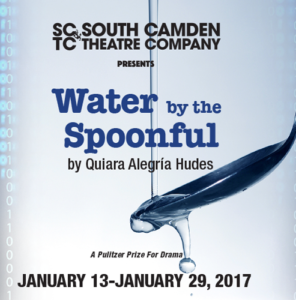 South Camden Theatre Company Proudly Presents Our Season 12 — We Hope You’ll Join Us! Written by the Beth Henley, the author of Crimes of the Heart this story belongs in the group of Southern Gothic comedies for which Henley is best known. 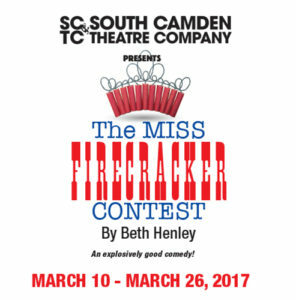 Its heroine, Carnelle, is an irrepressible young woman who thinks that winning the local beauty contest will restore her soiled reputation and make her somebody in her small Mississippi community. The family and friends who help her along the way are a dysfunctional bunch who tackle life in their own peculiar ways. There is a former beauty queen cousin, Elain, who comes to offer advice and to run away from her husband and children. Elain’s brother, Delmount, has come home from the mental institution to sell the family house and provide Carnelle another way out. Wandering into the chaos as Carnelle’s seamstress is sweet and strange Popeye, who falls in love with Delmount. The general conclusion the characters reach is that, even if the real you is not the fulfillment of your hopes, you will be more at peace if you learn to define and accept your own self. Hasidic Jews do not pursue art. Hasidic Jews do not paint crucifixions. 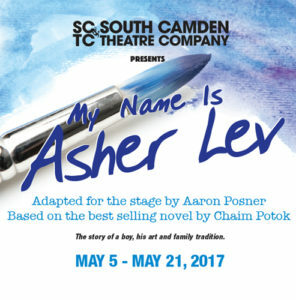 When a young Jewish boy discovers his immense talent, he must reconcile his drive to create with his religious traditions, community, and a family that does not understand him. A sunny room on an upper floor is prime real estate in the Bristol Place Assisted Living Facility, so when the cantankerous Abby is forced to share her quarters with new-arrival Marilyn, she has no choice but to get rid of the infuriatingly chipper woman by any means necessary. A seemingly harmless bet between the old women quickly escalates into a dangerous game of one-upmanship that reveals not just the tenacity of these worthy opponents, but also deeper truths that each would rather remain hidden. As heartfelt as it is deliciously inappropriate, this hilarious comedy marks the author’s sixth collaboration with The Manhattan Theatre Club. 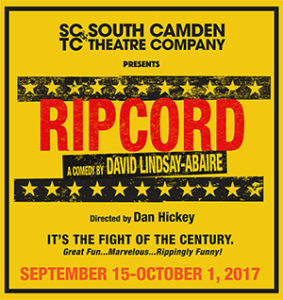 David Lindsay-Abaire, the Pulitzer Prize winning author of Rabbit Hole, Fuddy Meers, and Good People, created Ripcord, a high-stakes comedy about two women of a certain age locked in a no-holds-barred battle to the death directed by Daniel Hickey.